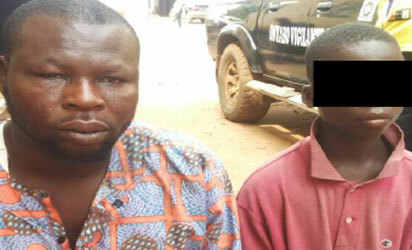 37-year-old Abdullahi who is always led by a 12-year-old boy (name withheld), begged for alms every day at the First Gate and Odogunyan area of Ikorodu. When interrogated, Abdullahi who is from Oyo state, said he belongs to a group of beggars who feign various types of deformity just to get people to sympathise with them and give them money. But for the timely intervention of the vigilante group members in the area, the mob that had gather gathered were in the process of lynching him. He was rescued and then handed over to the police in Sagamu.